Home / HairCare / Giovanni 2Chic Repairing Shampoo & Conditioner. Giovanni 2Chic Repairing Shampoo & Conditioner. 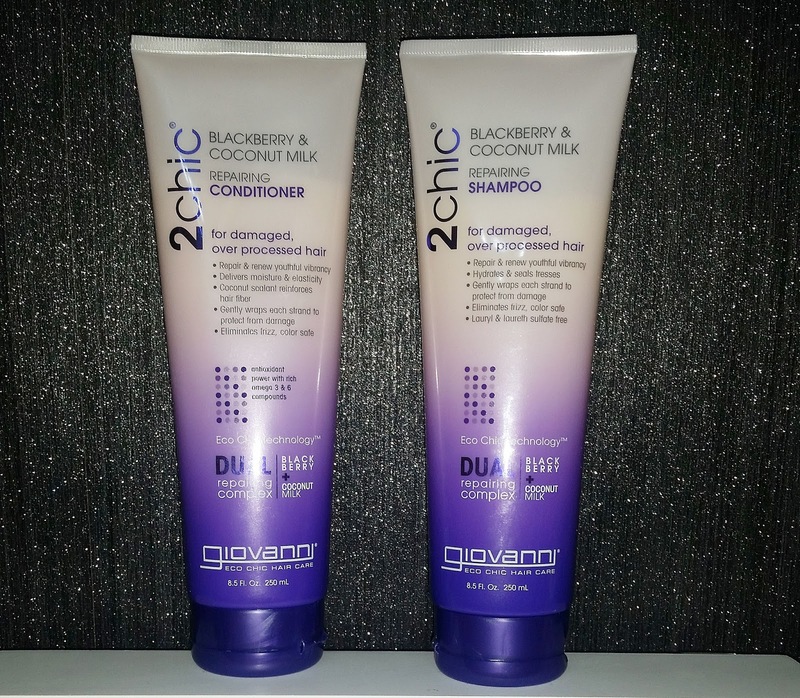 The Giovanni 2Chic repairing shampoo & conditioner are specifically useful for damaged, over processed hair. Suffering with dry, damaged hair can be caused by many factors such as coloring, heat styling or using the wrong products for your hair type. Using hair products containing lauryl sulfate, that help the product lather up, can irritate a scalp and dry your hair out of its essential moisture because of it being a detergent. Seeking products that are moisturising and deep conditioning whilst not containing parabens, lauryl or lauryl sulfate, dyes or PEGs will help you get back on track to your healthier hair journey. Giovanni's pioneering formulae includes vitamins, herbs, minerals, proteins and nutrients that ensure your hair looks and feels its best, without containing any nasty chemicals or additives. The simple, yet unique bottles, add a funky modern twist to the bathroom whilst also ensuring you are able to get every last drop of product to use. 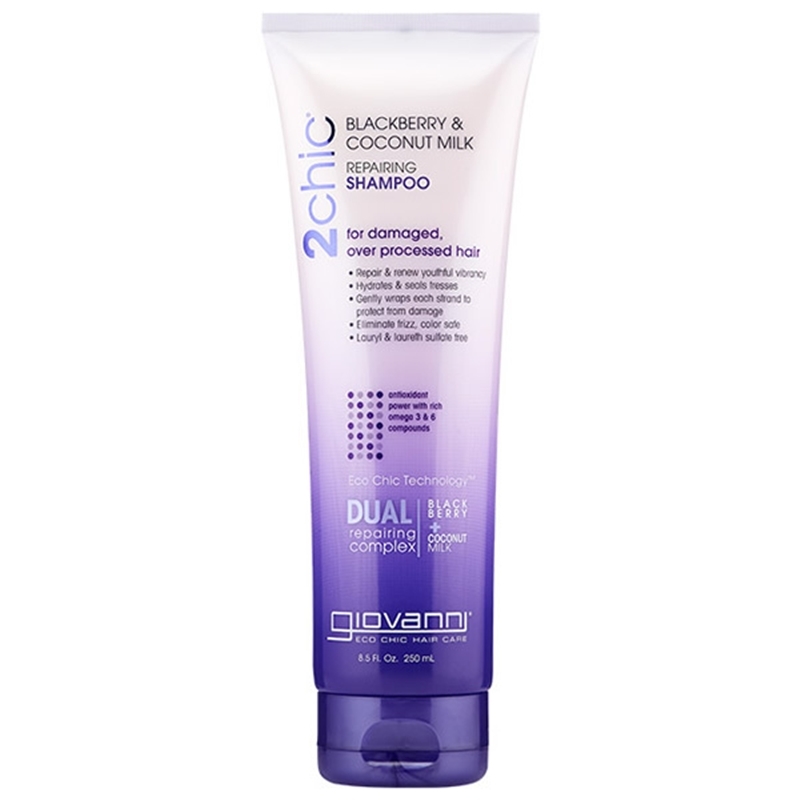 The Giovanni 2Chic repairing shampoo strengthens hair with help from the exclusive dual repairing complex, an essential blend bursting with antioxidant power that combines freshly ripened blackberries and the sweet delicate nectar of coconut milk. Energising each strand by drenching hair in protection and moisture, restoring your tresses from damage. The Giovanni 2Chic repairing shampoo cleanses hair gently, thanks to its rich milky consistency. My hair felt transformed throughout the rinse off stage, feeling soft and smooth and not stripped of its essential moisture. The shampoo does have a sweet coconut scent that adds an enjoyable experience when washing your hair. 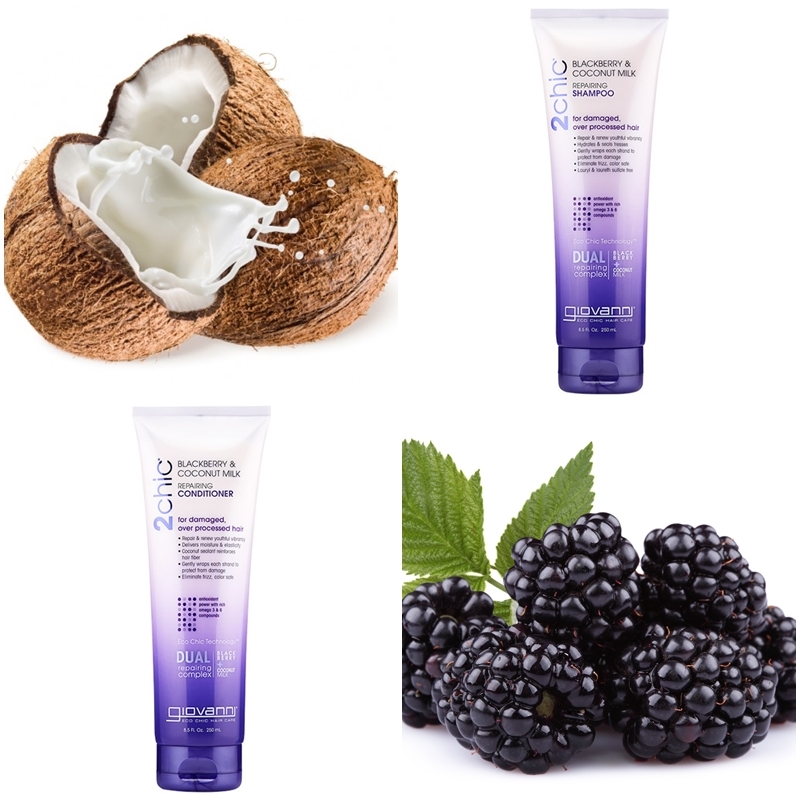 The Giovanni 2Chic repairing conditioner is a deep conditioner that drenches each strand from roots to ends in a super rich compound of omega 3 & 6 restoring moisture with super antioxidants. Coconut Sealant Reinforces Hair Fiber. Eliminates Frizz & Color Safe. Apply the Giovanni 2Chic repairing conditioner to wet hair making sure you coat each hair strand with your fingers, wait three minutes before rinsing off. Rinsing off the conditioner, i knew this deep conditioner had been at work transforming my hair to a smooth and hydrated state. The slip the conditioner gives you makes your hair much easier to detangle, which is valuable for preventing breakage and split ends. 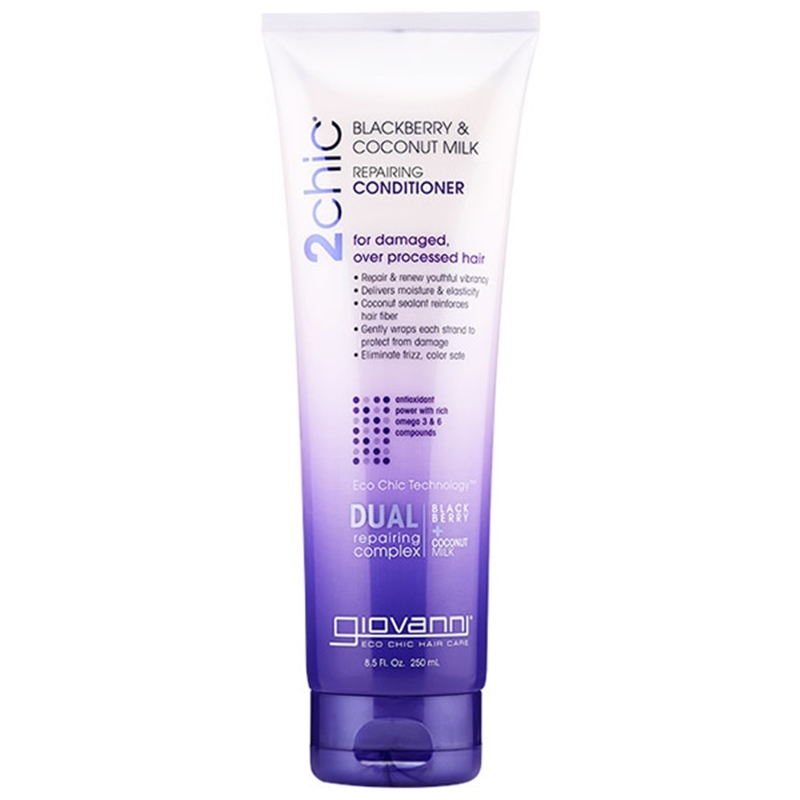 The Giovanni 2Chic repairing shampoo & conditioner are excellent in achieving moisture and deep condition for your hair. Colour is vibrant, hair feels hydrated and healthier, and you only need to use a little of the product from each of the 250ml squeezy tubes. Find out more about these repairing hair products at ManOrganic. X Neil.